The IMPACT Society will host rock concert events at Pikesville High School and Goucher College featuring celebrity musicians against substance abuse. Goucher College will be the scene of a rock concert and fundraiser March 21, 2014 from 7:30-11:00 p.m. put on by The IMPACT Society, a Maryland non-profit focused on prevention education and intervention programs and services. 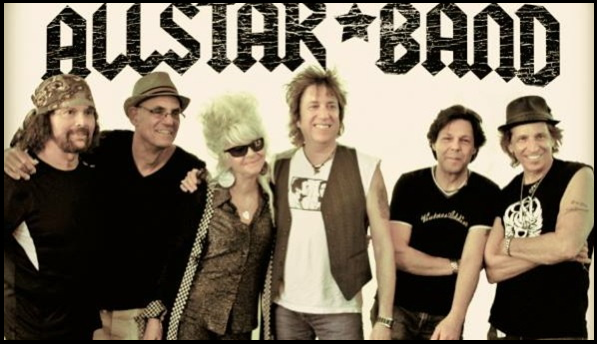 The concert features “The Recovery Squad AllStars” - Richie Supa (Aerosmith), Jeff Kazee (BonJovi, Southside Johnny), Christine Ohlman (SNL Band), Liberty DeVitto (BillyJoel,The Slim Kings), Ricky Byrd (JoanJett & The Blackhearts, Roger Daltrey) and Kasim Sulton (Todd Rundgren, Meatloaf). Opening acts include Tall in the Saddle, Tony Denikos, and The IMPACT Society Band. Proceeds will help fund The IMPACT Society’s Maryland-SADD Partnership, Prevention Education School Assemblies, IMPACT Recovery Houses, and IMPACT Media. The IMPACT Society educates and influences people of all backgrounds to make wise choices and avoid destructive decisions. As the official contact for Students Against Destructive Decisions (SADD) in Maryland, they visit schools throughout the state with a school assembly road show—an all-original music performance featuring real-life experiences that “ROCK” teens into wiser decision making. According to government health statistics, last year more than 6,000 teens died as a direct result of alcohol abuse. The three leading causes of death for teens 12-19 years of age are accidental injury, homicide, and suicide—all commonly linked to drug and alcohol abuse and all completely preventable. Along with the concert at Goucher College, The IMPACT Society and several of the celebrity rockers (Liberty DeVitto, Christine Ohlman and Ricky Byrd) will visit Pikesville High School on March 20th to advocate in their prevention education efforts with a school assembly. The IMPACT Society is also having Pikesville HS Music Boosters sell all concessions at the Goucher concert with all proceeds going directly to their school’s programs.